Dry cargo containers are the most common type of container we sell. These units come in a variety of sizes and grades and are the most economical choice for immediate storage solutions. 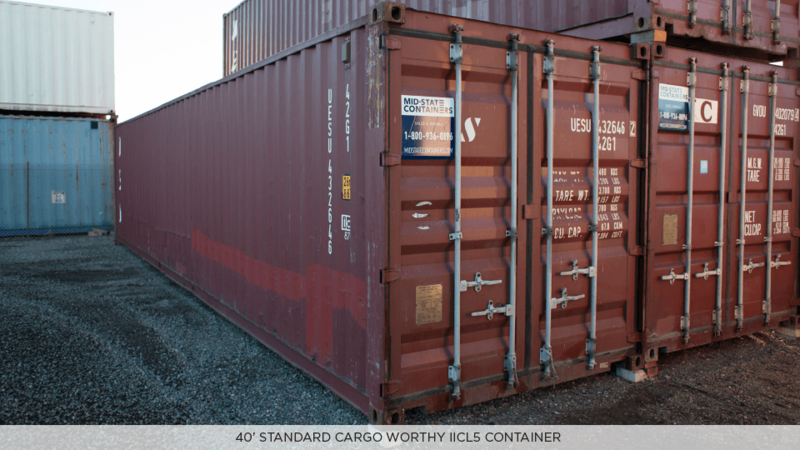 Wide range of grades: As Is, Wind and Water Tight, Cargo Worthy, Cargo Worthy IICL5, Refurbished, and New "one trip"